Thanks to everyone’s abiding enthusiasm, the Philippine International Hot Air Balloon Fiesta (PIHABF) hosted 22 years of “A Weekend of Everything that Flies™” in Clark, Pampanga. Our latest fiesta last February 8-11, 2018 featured for the first time two women wing walkers - a special treat to young and old alike. We regret to inform you that because PIHABF has not received the commitment from our government partners on time, we will not be able to organize the annual The Philippine International Hot Air Balloon Fiesta (and The Weekend of Everything that Flies!) in Clark this coming February 2019. PIHABF, however, may organize air shows outside of Clark in 2019. 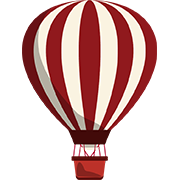 We will announce plans and developments on this website, www.philballoonfest.net, and social media channels (@pihabf -- see links above) and we welcome your continued enthusiastic participation. Any other ballooning event not announced on this website/FB page is NOT organized by PIHABF, which bears an uncompromising track record of ensuring the safety of pilots, participants, and viewers. Again, we thank you for your support all these years! Over Two Decades of Flying High! © 2010-2019 Philippine International Hot Air Balloon Fiesta Foundation. All Rights Reserved.